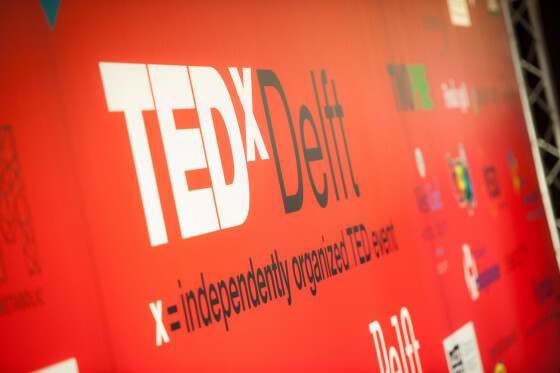 On February 27 2015, TEDxDelft returns with a new and bigger event, featuring an impressive line-up of speakers and inspiring stories. The event will take place from 14.00 until 22.00 at the Aula Conference Centre in Delft. This year’s theme, ‘Let’s make things beta!’, is all about remembering that every great idea was once raw and imperfect, and had to be refined in order to make it what it is today. Technology, entertainment and design are what TED is all about. In 1984, a conference was organised in California, centering around these three fields and with one mission in mind: ‘ideas worth spreading’. Since then, TED has evolved to now cover just about every topic imaginable. For up to 18 minutes per speaker, the stage would be open to a person with an idea worth spreading. In June of 2006, these great ideas became more accessible to the world when TED started posting the talks online. These talks were now able to spark conversations with a wider audience. Two years later, TED decided to empower others and help to create ‘independently organised TED events’ called TEDx. With these events, communities around the globe have been able to spread and share their ideas. Indeed, this is where TEDxDelft comes into focus: an independently organised TED event situated in Delft that also shares in the mission of making ideas accessible to everyone. This year, the stage is set for the fourth TEDxDelft event. Speakers include Dr. Patrick Rensen from the Leiden University Medical Center who will talk about how the simple act of lowering your thermostat can help you lose weight. Moreover, TU Delft Master’s student, Mileha Soneji, will present her solution to helping those living with Parkinson’s disease, while chef Yuri Verbeek will discuss how inspirational ideas can appear in the most unlikely of places. Tickets may be purchased online on the TEDxDelft website, at the Delft Tourist Information Point (Kerkstraat 3) or at the event itself (subject to availability). Student/PhD tickets are €24 and regular tickets are €49 per person. For more information, visit http://www.tedxdelft.nl/. We hope to see you there!